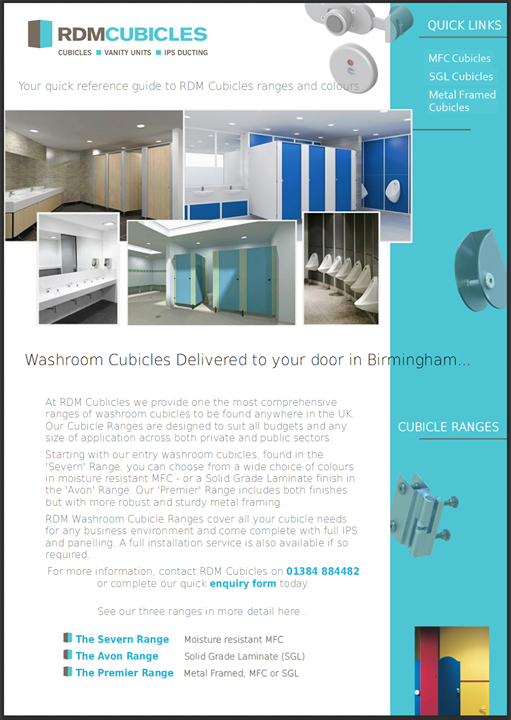 At RDM Cubicles we pride ourselves on consistently supplying only the best quality Washroom Toilet and Shower Cubicle systems to our customers located in and around the Reading area. 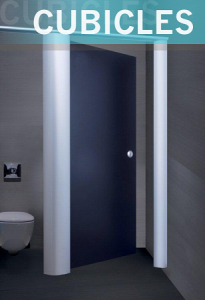 Our comprehensive range of Cubicles; including IPS Ducting and Vanity Units, can match a wide range of bespoke cubicle system requirements, with solutions available for almost every type of installation imaginable. Our ranges are supplied for all types of commercial, leisure or private/public sector requirements including Education, Health & Fitness, Retail or industrial sectors. The Severn Range: (MR & MFC cubicle systems). The Avon Range: (SGL & Compact Grade Laminate cubicle systems). Other ranges, including our stylish Premier Range and the RDM Education Range can be selected from the cubicles ranges drop down menu above. Our Central UK office is located just about 2 hours from the centre of Reading, meaning your cubicle system can be delivered within just a few hours once made ready for dispatch.